According to our authority on an Idaho retirement, Kristen, from 55 retirement community Syringa Gardens in Coeur d'Alene, “Come to Friendly Idaho” could well be the welcome mat for this state. Kristen has resided in Idaho for many years. She knows its back roads, its best restaurants, the food Idahoans eat and the clothes they wear well. But most of all, she says Idahoans live an active life. BG: Thank you, Kristen, for painting the following inviting and informative retirement article on Idaho for our visitors. I have only passed through Idaho a couple of times and enjoyed the blue sky, fresh air, mineral springs and water slides there, but after reading your article, I am more informed and amazed at the variety of attractions Idaho has. Kristen: First, Idaho has over 1.5 million people based on a 2010 census. That’s for the entire state! Compare that to Washington State, which is a little smaller and has a population of nearly 7 million. There is lots of room in Idaho. 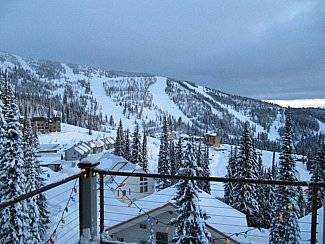 Numerous Ski Resorts, including famed ski resort Sun Valley, with amazing terrain for skiing, snowmobiling, snowboarding, snow shoeing.Besides fly fishing in summer, many people also enjoy winter ice fishing in Idaho. An Idaho retirement can include evening art walks and shows from local professionals at the Art Spirit Gallery in Coeur d'Alene or Western art at the Coeur d'Alene Galleries. There are art galleries, festivals and workshops throughout the state. Idaho has hot springs. Take your grandkids to the more popular ones with waterslides. This is the West so there are many resort vacation ranches for horseback riding and area parks with trails. 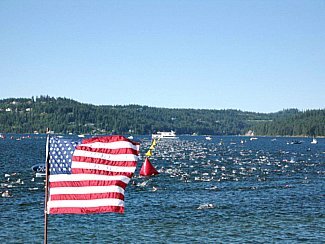 Since 2003, the popular Ironman endurance event has been hosted annually in Coeur d’Alene. People love it due to the beautiful scenery, climate, and friendly and welcoming residents. Ironman Event is very popular. Other Idaho retirement attractions include numerous breathtaking golf courses with one of the nations best courses, The Coeur d’Alene Resort Golf Course, which features the amazing movable floating green. Obtain a brochure about The Idaho Golf Trail that shows Idaho’s golf courses.And, of course, summers are filled with farmers markets bringing in the best vegetables, flowers, and Idaho potatoes. Fall: Your Idaho retirement can be filled with days of hunting, fishing, hiking, biking or walking; any season is popular for photography hobbyists and professionals alike. Spring: Look for wildflowers and watch the changing colors of the mountains. Lake Pend Oreille in Northern Idaho is one of the nation’s deepest lakes and is attractive for hiking, fishing, camping, boating or just enjoying the scenic views on this magnificent lake.The mountains located around the lake are more barren and rocky making it perfect terrain for mountain goats easy to spot on a summer afternoon. View of Lake Pend Oreille in winter. 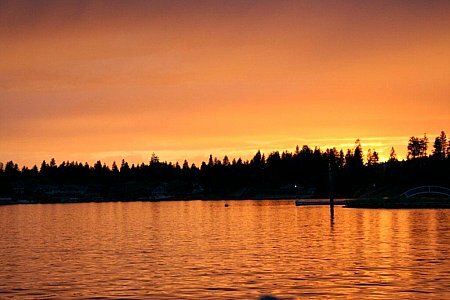 Lake Coeur d'Alene - Around Lake Coeur d’Alene are amazing biking, walking, and hiking trails. I also just like to go for a drive and in the fall and winter months you can usually find bald eagles along the roads making their homes in the trees. 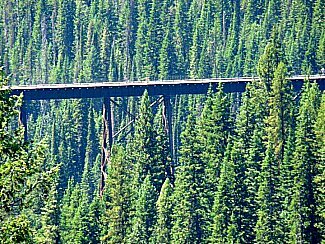 There is a trail, The Hiawatha Trail, a 15-mile bike trail that crosses along the mountains between Montana and Idaho. This trail is loved by people of all ages as it is a very gentle downward ride. It used to be a railroad line but abandoned since 1980 and now has been made into a bike trail with stunning views. White river rafting is available for all ages and ranges from easy day floats to class-four rapids on a week-long adventure. Activities are abundant and the area is filled with great restaurants. Hells Canyon is the deepest gorge in the U.S. and is carved by the Snake River and is popular for sturgeon fishing and jet boat rides. 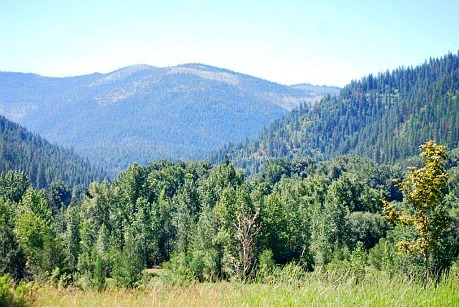 Terrain: Idaho consists of mountains (Rocky Mountains), rivers and farmland. Idaho has 3,100 miles of river; more than any other state. When most people think of Idaho they most often think of Boise. Boise is the state capital located in Southern Idaho and is where most of the state’s population is concentrated. Southern Idaho is on the Mountain Time zone. Southern Idaho consists of more plains, farmland and cities and a bit of desert. 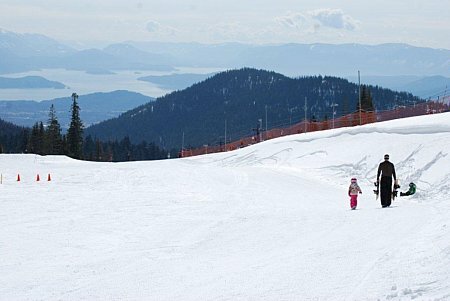 Coeur d'Alene in Northern Idaho is becoming better known and has been considered by many as a hidden gem. 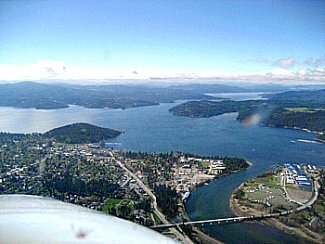 The Coeur d’Alene area is the second largest metropolitan area in the state. It is also located near Spokane, WA. Northern Idaho is on the Pacific Time Zone. People are kind and friendly and most tourists want to start planning a return trip before they have left. 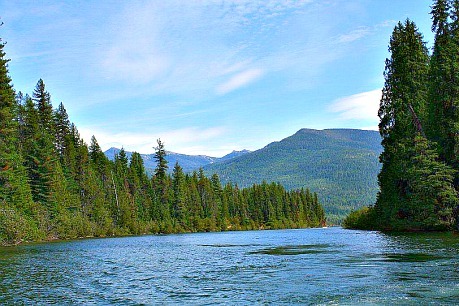 Northern Idaho has beautiful lakes and forests. Central Idaho does not have a lot of population although it does contain some great small towns; it also has some rough terrain. Jobs in the state range from manufacturing, agricultural, tourism, healthcare, retail and business. Products: Forest products, lumber, and mining.The Industrial community is growing and today the largest industry is science and technology. Boomers have been interested in an Idaho retirement because of its range of activities. As people are finding out about Idaho they tell their friends and family and move to the area. Idaho has been one of the top growing states in the nation in the past 10 years. Most boomers are moving from a big city and want a chance to slow down and enjoy the small town environment. California, Washington, Oregon and the Midwest are where most inquiries come from as well as the local residents interested in moving in to a 55+ gated maintenance free community like Syringa Gardens. 30 Minutes to the Airport - In Syringa Gardens, residents enjoy the small town feel while also being able to get to bigger cities quickly and are only 30 minutes from an international airport in Spokane, WA. They can also travel four hours by car to get to Seattle, WA. Those interested in Syringa Gardens are of all types. There isn’t a specific characteristic for those moving there as the area has something for everyone. They are looking for part- time residences or are setting up permanent residences as they move towards retirement. Our clients are looking for a slower-paced community with neighbors of their same age range. They also desire to get away from the upkeep of their current homes. Those who have grown tired of the snow find comfort in the fact that here they can have their snow shoveled for them. Syringa Gardens is located within 5-7 miles of grocery stores, medical facilities, multiple gyms, golf courses, rivers and lakes. There is easy freeway access. Medical care is available at the local hospital, urgent care, and cancer centers along with chiropractors, physical therapists and dental three miles away. The air quality is great with only minor complaints during the winter if there is an inversion. An aquifer runs through the area providing clean drinking water to approximately 500,000 people per year. Local fresh produce can be found spring through fall, including many areas for pick-your- own produce or berry picking. The produce ranges from cherries, strawberries, apples, plums, pears, apricots, as well as potatoes, carrots, tomatoes and squash. There are also wild huckleberries in the mountains around August. The housing market has been difficult and the banks are not quick to loan. Sales are down and it is the same as the Nation’s market with lots of foreclosures that are saturating the market. This program is a Lease option program where buyers can sign a sales contract and lock in at today’s prices and lease a home while they wait to improve their situation. Once they are able to get approved, they can purchase the home they have been living in and use some of the rent they have been paying towards their purchase. This is a great option to help out in these trying times. 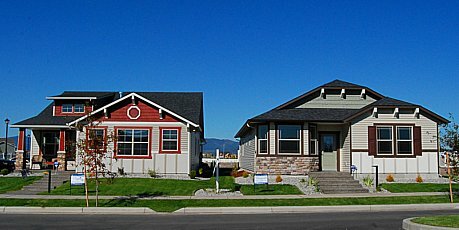 Design Features of Syringa Gardens homes: Garages are located in the back of the homes to provide an alleyway access and a more aesthetically pleasing front appearance.Adding to the attractiveness is the Craftsman architectural style of the homes. Our clients and residents want easy access to the amenities of their home and an area to entertain guests. Each home has enclosed patios. We have beautiful views and colorful sunsets.Syringa Gardens has a name that is special to the state of Idaho because the Syringa is Idaho’s state flower. It blooms in late spring to early summer in North Idaho with white fragrant blooms. This article and most of the photos are a generous contribution and original to this website. 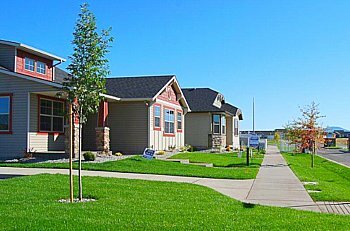 Syringa Gardens by Viking Homes is located on Reddington Way, Post Falls, Idaho. Resale prices are in mid to upper $100's. See local Realtors. We are not affiliated with Viking Homes or Syringa Gardens. Do not copy or paraphrase for your own purposes. We do not make recommendations or give advice. Make your own thorough inspections of all real estate and seek local experts.